"Politische Ikonen", Raika, Linz, Austria. "Different Neuro-Radiological Images", Raika, Linz, Austria. "Painting Medical Doctors" (participation). Brauhaus-Gallery, Freistadt, Upper-Austria. "Mao, Marx und Marilyn". - Pre-presentation of the monograph (ISBN 3-9010-4043-9, Selva-Edition), Restaurant Ragusa, Vienna. "Das Jahr der Raupen". - Scenic reading by Wolfgang Hohenwallner and picture-exhibition by Werner Horvath, Casineum of the Casino Austria, Linz 2001. "Painting Medical Doctors" (participation). University of Budweis, Czech Republic. "Mao, Marx und Marilyn". Verlag Volk und Wissen, Berlin, Germany. "Painting Medical Doctors" (participation). Bergschlössl Linz - Froschberg, Austria. "Mao, Marx und Marilyn". - Presentation of the monograph (ISBN 3-9010-4043-9, Selva-Edition) and picture-exhibition, Czech Center, Vienna. "The Saints of the Brothers of St.John of God". Seminary Center of the General Hospital "Barmherzige Brüder" Linz, Austria. (Vernissage April 11th). "New Works". Villa Arte, Kastellos, Island of Crete, Greece. (Vernissage August 16th). "Große Denker". - Picture-exhibition and presentation of the book. CASINEUM of the Casino Austria, Linz. "FACES" (participation). Metropol, Budweis, Czech Republic, April 2004. "Famous - Notorious. Portraits of Physicians from Billroth to Mengele". - Personal exhibition at the Ostarrichi-Klinikum, Mauer/Amstetten, Lower-Austria, April 2004. "Atelier Horvath". Opening of the artist's studio in Linz, Austria, May 2004. "Come Together!" (participation). Artists' Meeting at the Villa Arte, Kastellos, Island of Crete, Greece, June 2004. "13 ist kein Thema" (participation). 13th exhibition of the "Österreichischer Ärztekunstverein" , Gallery of the University hospital, Vienna, November 2004. "Artists of the Puchenau-region" (participation). Picture-exhibition and presentation of the "Puchenau-Art-Calendar 2005". Castle of Puchenau, December 2004. "Thomas Hobbes - Leviathan". Cover-illustration for the new book by Emanuel Adler: "Communitarian International Relations - The epistemic foundations of International Relations", Routledge, New York 2005, ISBN.0-415-33590-6 (simultaneously published in the USA and Canada). "Clash of Civilizations". personal exhibition, Villa Arte, Kastellos, Island of Crete, Greece, August 1st - 20th. September-Exhibition of the Omma Centre of Contemporary Art (participation). Omma Centre of Contemporary Art, Chania, Crete, Greece. September 5th - 30th. Exhibition of the Austrian Medical Art Club (participation). Bank Austria - CA, Schottengasse 6, Vienna, Austria, October 20th - November 2nd, 2005. "Freedom" (Design of the poster and invitation-card, participation). 14th autumn-exhibition of the Austrian Medical Art Club , Gallery of the University hospital, Vienna, (Opening October 25th, 7 p.m.). "Artists of the Puchenau-region" (participation). Picture-exhibition and presentation of the "Puchenau-Art-Calendar 2006". Castle of Puchenau, December 7th, 7 p.m.
"War and Peace - Wind Art Festival" (participation). South Korea. "Filmstars - Popstars". Castle of Puchenau, Upper Austria. Opening February 10th, 7 p.m.
"Art and Wine" Project in selected wine bars of the 8th and 9th district of Vienna. March 1st to April 10th 2006. "Clash of Civilizations" - (Personal exhibition). 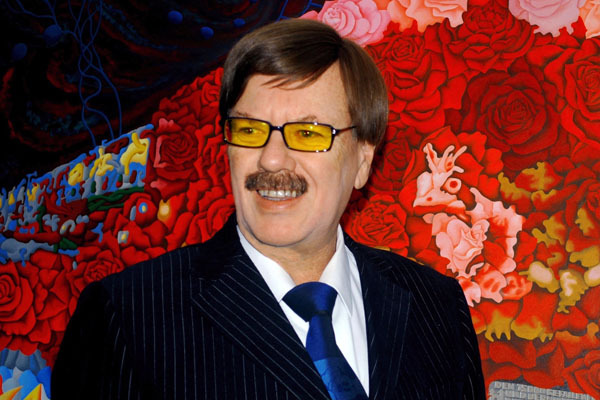 Curator: Prof. Joachim-Lothar Gartner, Künstlerhaus Vienna. March 8th - April 1st, Gallery of the University Hospital, Vienna. "Art in Ebenthal" - Exhibition of the Austrian Medical Art Club (participation). Castle Coburg, Ebenthal, Lower Austria. June 3rd - June 5th 2006. "Peace and Freedom" - (personal exhibition). July- exhibition in the Villa Arte, Kastellos Apokoronas, Crete, Greece. July 1st - 10th. "Good Guys, Bad Guys"- (personal exhibition). August-exhibition in the Villa Arte, Kastellos Apokoronas, Crete, Greece. August 1st - 10th. "Art-Auction at the International Hospiz und Palliative Care Day"- (participation). Auction: Sept. 27th 2006, 6.30 p.m. at Christie's, Bankgasse1/Herrengasse17, 1010 Vienna. Moderator: Dr. Barbara Rett (ORF). Picture exhibition: Sept. 26th and 27th 2006, 9 a.m. - 6 p.m. at Christie's. "4th International Art Festival Chania 2006" under the aigis of the prefecture of Chania (participation). Postponed to November 2nd - November 15th due to damages in the exhibition center after the earthquake, Neoria public exhibition center, Chania, Crete, Greece. "Light and Shadow" - 15th autumn-exhibition of the "Austrian Medical Art Club" (participation). Gallery of the University Hospital, Vienna. November 8th - December 2nd. "Art and Medicine" - Exhibition of the Austrian Medical Art Club (participation). University of Veterinary Medicine, Veterinärplatz 1, 1210 Vienna, Austria. November 29th - December 18th. "Artists of the Puchenau-region" (participation). Presentation of the "Puchenau-Art-Calendar 2007" and picture-exhibition. Dec. 7th, 7 p.m., Castle of Puchenau, Austria. During the year 2006 also the following books with cover images of Werner Horvath have been published: "Introducing Human Rights" by the South Asia Human Rights Documentation Centre, Oxford University Press, India 2006 (ISBN 9-780195-68147-5) and "Van Gogh's Ear - The Celebrity Edition", edited by Ian Ayres, Committee on Poetry - New York and French Connection Press - Paris, 2006 (ISBN 2-914853-07-6). "Give Peace a Chance" - (personal exhibition). Castle of Puchenau, Upper Austria. February 11th - March 4th 2007. Opening Febr. 11th at 7 p.m., free entrance. "Icon und Ikone" (participation). Special exhibition at the Museum "Heimathaus Münsterland und Krippenmuseum", April 1st - May 13th, Curator Dr. Thomas Ostendorf, Herrenstraße 1-2, Telgte, Germany. "Werner Horvath - Latest Works" - (personal exhibition). Summer-exhibition in the Villa Arte, Kastellos Apokoronas, Crete, Greece. August 1st - 20th. 16th autumn-exhibition of the "Austrian Medical Art Club" (participation). Gallery of the University Hospital, Vienna. November 14th - December 8th 2007. Opening November 13th, 7 p.m. free entrance. "Artists of the Puchenau-region" (participation). Presentation of the "Puchenau-Art-Calendar 2008" and picture-exhibition. Dec. 7th, 7 p.m., Castle of Puchenau, Austria. "Niccolo Machiavelli - Der Fürst", RaBaKa-Publishing, ISBN: 978-3-940185-05-1, 2007. It is also included in "Worldviews: Contact and Change" by A.Fitton, D.M.Goodman and E. O'Connor, a Grade 8 social studies textbook published by Pearson Education, Toronto, Canada, ISBN 978-0-13-198719-7, 2007. "Unforgettable Reggae - Bob Marley Exhibition - Summer 2008" (participation), Alba Adriatica (Italy), June 28th - July 6th. Curator: Bruni Sante, Corropoli, Italy. "Greek Impressions" - (personal exhibition). Summer-exhibition in the Villa Arte, Kastellos Apokoronas, Crete, Greece. August 16th - 24th 2008. "DONT TREAD ON ME" - ART WITH A POLITICAL AGENDA, curated by Rick Delaney (participation). Richman Gallery and Davison Lobby Gallery, 2425 Old Court Road, Baltimore, Maryland, USA. September 18th - November 10th, 2008. Opening Reception Thursday, September 18th, 3:30 - 5:00 pm. Gallery Hours M-F 8am - 7pm. "Art in the Office" (participation), curated by Elisabeth Stöcher, Pfizer Corporation. "Florido Tower", Floridsdorfer Hauptstraße 1, 1210 Vienna. Exhibition time: October 16th, 2008 - January 9th, 2009. Opening: October 16th, 2008, 11.30 am. "Lebendig" - 17th autumn-exhibition of the "Austrian Medical Art Club" (participation). Gallery of the University Hospital, Vienna. November 4th - 28th 2008. Opening November 4th, 7 p.m., free entrance. "Philosophical Theories in Pictures" - (Personal exhibition). Castle of Puchenau, Upper Austria, November 7th - 22nd 2008. Opening November 7th, 7 p.m., free entrance. "Rest in Peace?" - Jim Morrison by Werner Horvath (personal exhibition). Atelier am Pöstlingberg, Puchenauer Kreuzweg 45, 4040 Linz. Opening: Jan.16th 2009, 7pm. (on invitation only), exhibition Jan. 17th - 22nd 2009. "We are Congo". Art-event with political African paintings in the Linz- -Art Palace, accompanying the introducing and celebration of the new "Capital of Culture Neighbourhood of the Month" KLEINMÜNCHEN AUWIESEN, Sa. Febr. 28th 2009, starting at 10 a.m.
"Art in the Office 2" (participation), curated by Elisabeth Stöcher, Pfizer Corporation. "Florido Tower", Floridsdorfer Hauptstraße 1, 1210 Vienna. Exhibition time: March 3 rd - June 2009. Opening: March 3rd, 2009, 3.30 p.m.
"Art connects". Gala night of arts in the Parkhotel Schönbrunn (participation), organized by "Gold Line Company" and "Red Line ArtEvent" for the project "Schau hin" - prevention of abuse of children -, including an art auction by the Dorotheum Vienna. Thursday, April 23rd 2009, 7 p.m., Parkhotel Schönbrunn, Vienna. "Rosy Linz". Presentation of the new art- beer mats by Werner Horvath in the Linz- -Art Palace accompanying the introducing and celebration of the new "Capital of Culture Neighbourhood of the Month" NEUE INNENSTADT, FROSCHBERG, Saturday, May 2nd 2009, Linzer Volksgarten, starting at 6 p.m.
"Wine and other Drugs" - (personal exhibition). Summer-exhibition and workshop in the Villa Arte, Kastellos Apokoronas, Crete, Greece. August 1st - 29th 2008. "Rosy Linz". Presentation of the art- beer mats by Werner Horvath for Linz- European Capital of Culture 2009- in the tavern of Kastellos Apokoronas, Island of Crete, Greece. September 17th 2009, starting at 6.00 p.m.
"Light" - 18th autumn-exhibition of the "Austrian Medical Art Club" (participation). Gallery of the University Hospital, Vienna. November 2nd - 27th 2009. Opening November 3rd, 7 p.m.
"Art in the Office 3" (participation), curated by Elisabeth Stöcher, Pfizer Corporation. "Florido Tower", Floridsdorfer Hauptstraße 1, 1210 Vienna. Opening: November 26th, 2009, 8.30 a.m.
"POWER" - Paintings by Werner Horvath (personal exhibition). Atelier am Pöstlingberg, Puchenauer Kreuzweg 45, 4040 Linz. Opening: February 13th, 2010, 7 p.m., (exhibition until march 1st, 2010). "O Congo. 50 jaar onafhankelijkheid in 50 schilderijen" ("Congo. 50 years Independence in 50 paintings"). 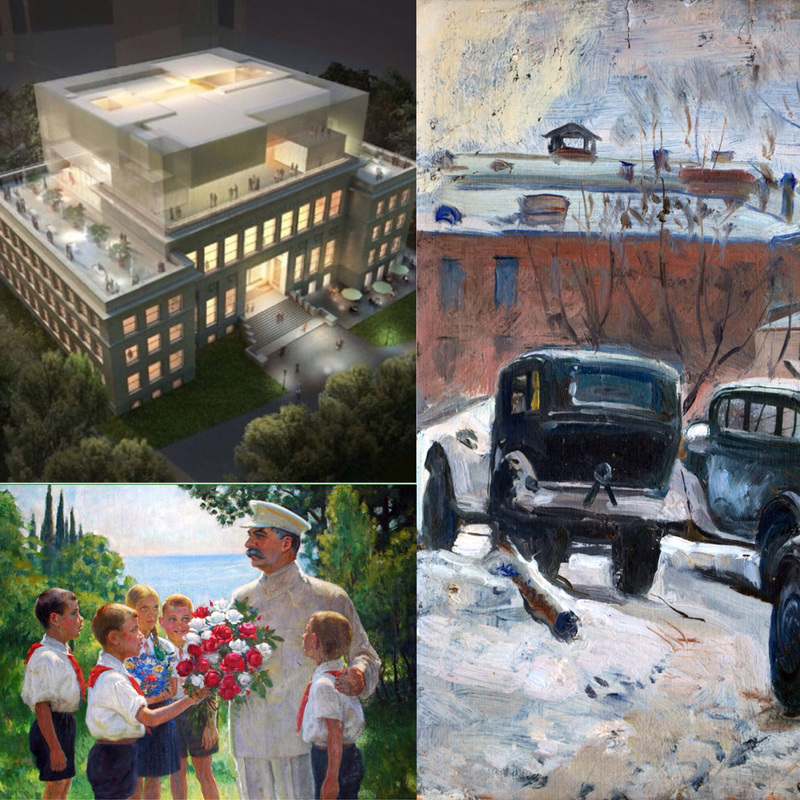 Participation by loan of 6 paintings out of the Horvath-collection. De Warande, Warandestraat 42, Turnhout, Belgium. Exhibition period: April 24th to June 6th, 2010. "Die Kunst der Ärzte - Werner Horvath, Monika Lederbauer and Eva Sostai". Ärztebank, Kolingasse 4, 1090 Wien. Opening: June 8th, 2010, 6 p.m. - Laudatio by Mag. Dr. Wittigo Keller, Vice-President of the Künstlerhaus Vienna. (Exhibition until beginning of November 2010). "50 years of Congolese Independence". Participation by loan of 7 paintings out of the Horvath-collection. Royal Museum for Central Africa, Leuvensesteenweg 13, Tervuren, Belgium. Exhibition period: June 11th 2010 to January 9th 2011.
freedom.wisdom.beauty (personal exhibition). Summer exhibiton in the Villa Arte, Kastellos Apokoronas, crete, Greece. August 8th - 28th 2010, Opening August 7th, 7.00 pm. "Die Kunst der Ärzte - Werner Horvath" (personal exhibition). Ärztebank, Hafnerstraße 11, 4020 Linz. Opening: October 13th, 2010, 6 p.m. - Exhibition time until end of September 2011. "50 years independent Congo in paintings". Exhibition of paintings of the Horvath-collection by VMK and KIP together with the Unit Ethnomedicine and International Health of the University Vienna. Castle of Puchenau near Linz, Upper Austria, October 30th to November 14th 2010. Opening on Saturday, October 30th, 7 pm. PRESS-Report (in German). "Verkehrte Welt" - 19th autumn-exhibition of the "Austrian Medical Art Club" (participation). Gallery of the University Hospital, Vienna, Währinger Gürtel 18 - 20, Nov.3rd - Dec. 3rd 2010. Opening Nov. 3rd, 7 pm. "Freedom and Congo". Paintings by Congolese artists (out of the Horvath-collection) commenting the situation of the country after 50 years of independence. "Jägermayrhof", Römerstraße 98, 4020 Linz. Opening on Monday Nov. 8th, 7 pm, exhibition time until January 21st 2011.PRESS-Report (in German). "RED PICTURES" - exhibition of "bsa.art OÖ" (participation). M30 - center for education, culture and communication, Museumstr. 3, Linz, Austria. Opening Nov. 15th 7 pm. Exhibition continued: "Die Kunst der Ärzte - Werner Horvath" (personal exhibition). Ärztebank, Hafnerstraße 11, 4020 Linz. Exhibition time until end of September 2011. "Fine Arts and Economy" - Paintings by Werner Horvath (personal exhibition). Atelier am Pöstlingberg, Puchenauer Kreuzweg 45, 4040 Linz. Opening February 11th 2011, 7 pm., exhibition until March 1st, 2011. "Drawing - The Power of the Line" (participation). May 13th - 29th 2011, Gallery CART, Stadtplatz 13/1, 4230 Pregarten, Upper Austria. Opening May 13th, 7.30 pm, opening-speech by Mag. Anneliese Geyer. "Osama bin Laden, Saddam Hussein and Muammar al-Qaddafi in art" (participation). Atelier am Pöstlingberg, Puchenauer Kreuzweg 45, 4040 Linz. Opening May 15th 2011, 7 pm., exhibition until May 29th, 2011. "Drawing - The Power of the Line" (participation). June 2nd - 20th 2011, KULTURMODELL Künstlerhaus, Bräugasse 9, 94036 Passau (Germany). Opening June 1st, 6 pm. "Red Pictures" - Art-presentation of "bsa-art OÖ" (participation). Castle of Linz, Austria, June 9th, 7 pm. "Abroad but at home" - Fotos and paintings by Werner Horvath (personal exhibition) in the Villa Arte, Kastellos Apokoronas, Crete, Greece. August 6th to 15th 2011, opening August 6th, 7pm. "Switch off Nuclear Power Plants - Red Pictures" (participation). Sept. 19th - Oct. 9th 2011, KULTURMODELL Künstlerhaus, Bräugasse 9, 94036 Passau, Germany. Opening September 16th 2011, 7 pm. "Forest" - 20th autumn-exhibition of the "Austrian Medical Art Club" (participation). Gallery of the University Hospital Vienna (akh-contemporary), Währinger Gürtel 18 - 20, Nov.7th - 25th 2011. Opening Nov.8th, 7 pm. "War is a Chameleon" (personal exhibition). Castle of Puchenau, Upper Austria. November 19th - 30th, 2011. At the opening on November 19th, 7pm, Patrick Horvath will read from the book "Vom Kriege" by Carl von Clausewitz. "In der Fremde daheim" - Exhibition of "bsa-art OÖ" (participation). Wissensturm Linz, Austria, December 5th 2011 - January 13th 2012, , opening Dec.5th, 6 pm..
Exhibition continued: "RED PICTURES" - Exhibition of the "bsa.art OÖ" (participation). M30 - Center for education, culture and communication, Museumstr. 30, Linz. "BILDET ARBEIT KUNST?" - Exhibition of "bsa-art OÖ" (participation). Schlossgalerie Steyr, March 9th - 31st, Tu .- Su., 10-12 am and 2-5 pm. Opening March 8th, 7 pm. "PAIN AND RELIEF" - Exhibition at the 20th Congress of the Austrian Pain Society (participation). PALAIS KAUFMÄNNISCHER VEREIN, Bismarckstraße 1, 4020 LINZ/DONAU. May 31st -June 2nd 2012. Curator of the exhibition: Artist and Neuro-Surgeon Prof. Dr. Heber Ferraz-Leite. "Beloved Greece" (personal exhibition). Summer exhibiton in the Villa Arte, Kastellos Apokoronas, Crete, Greece. August 18th - September 16th 2012, Opening August 18th, 7.00 pm. "KOAXIALE 12"- Exhibition of the bsa-art Austria (participation). Curators: Werner Rodlauer and Renate Moran. Künstlerhaus, Karlsplatz 5, 1010 Vienna. Exhibition from October 20th to 29th 2012. Opening by the president of the BSA StR Dr. Andreas Mailath-Pokorny, October 19th, 6.30 pm. "BEGEGNUNGEN"- 21st autumn-exhibition of the "Austrian Medical Art Club" (participation). Gallery of the University Hospital Vienna (akh-contemporary), Währinger Gürtel 18 - 20, Nov.5th - 17th 2012. Opening Nov.6th, 7 pm. "THIS AM I" - Selfportraits of Werner Horvath (personal exhibition). Atelier am Pöstlingberg, Puchenauer Kreuzweg 45, 4040 Linz. Opening January 12th 2013, 7 pm, exhibition until January 27th 2013. "Icon Karl Marx" (participation). Stadtmuseum Simeonstift of Trier, BRD, Simeonstraße 60. March 17th - October 18th 2013, Mo. - Su. 10 am - 5 pm. "EUROPE" - Presentation of the "bsa-art OÖ" (participation) during the "Red Night" in the Castle of Linz, Upper Austria. June 13th 2013, 7 pm. "PAIN AND RELIEF" - (participation). Arena Klagenfurt, Messehalle 5, Messeplatz 1. May 8th - 11th 2013. Curator: Prof. Dr. Heber Ferraz-Leite. "Forever Young" (personal exhibition). Summer exhibiton in the Villa Arte, Kastellos Apokoronas, Crete, Greece. August 31th - September 13th 2013, Opening August 31th, 7.00 pm. "Lebenslust" - 22.Autumn Exhibition of the "Austrian Medical Art Club" (participation). Gallery of th New AKH (akh-contemporary), Währinger Gürtel 18 - 20, Vienna..
"Peace Heroes" - Portraits by Werner Horvath (personal exhibition) for preparation of a project with the Vienna Peace Museum. Atelier am Pöstlingberg, Puchenauer Kreuzweg 45, 4040 Linz. Presentation for invited guests April 23rd 2014, 7 pm, exhibition until April 25th. "VORMAI". Laudatory speech for Renate Moran. Culture Festival Puchenau bi KIP, Market Place Puchenau, April 26th. "Kreisky lives" - Press presentation of the new Kreisky-picture (replacing the stolen artwork). Linzer Landhaus, SPÖ Landtagsklub, June 12th, 9.45 am. Art presentation of the "bsa-art OÖ" (participation) at the "Red Night" in the Castle of Linz. June 12th 2014, 7 pm. "Windows for Peace" - (participation), Peace Museum Vienna, Blutgasse 3, 1010 Vienna. Opening June 17th2014, 5 pm in the Hayek Saal, Grünangergasse 1, 1010 Wien. "Peace Heroes" - Portraits by Werner Horvath (personal exhibition), Peace Museum Vienna, Blutgasse 3, 1010 Vienna. Opening June 18th 2014, 6 pm. "SECOND TIME AROUND" - Hubcaps as Art (participation), Museum of the Shenandoah Valley, 901 Amherst Street, Winchester, VA 22601. Curator: Ken Marquis, Founder of the Landfillart Project. Sept. 7th, 2014, to March 1st, 2015. "Long Night of the Museums" - Participation of Peace Museum Vienna, Blutgasse 3, 1010 Vienna with the exhibition "Peace Heroes" by Werner Horvath and the project "Windows for Peace". Oct 4th, 2014. "Portraits" - 23.Autumn Exhibition of the "Austrian Medical Art Club" (participation). Gallery of the University Hospital Vienna (akh-contemporary), Währinger Gürtel 18 - 20, Wien. Opening November 4th 2014, 7 pm. Exhibitions continued: "Windows for Peace" - (participation), Peace Museum Vienna, Blutgasse 3, 1010 Vienna, and partially "Peace Heroes" - portraits by Werner Horvath in the same museum. "What Children Play" - Group exhibition of 8 international artists for the "Red Hand Day", the international day against the use of child soldiers, curated by the community "Art against Violence" (participation and cover image). Peace Museum Vienna, Blutgasse 3, 1010 Vienna. Opening February 12th, 7pm., exhibition until Febr. 27th 2015. Art Market - Charity Event for children with oncological diseases, held by the Community PAN (participation). Saturday March 21st 2015, 2-8 pm., Sofien-Säle, Marxergasse 17, 1030 Vienna. Art presentation of the "bsa-art OÖ" (participation) at the "Red Night" in the Castle of Linz. June 11th 2015, 7 pm. "Schrittfolgen". Exhibition of the "bsa-art OÖ" (participation) in the office of LH-Stv. Rerinhold Entholzer, Altstadt 30, 4020 Linz. Opening July 14th, 6 pm. "Hope for Peace" (personal exhibition). Summer exhibiton in the Villa Arte, Kastellos Apokoronas, Crete, Greece. August 1st - 26th 2015, Opening August 1st, 7.00 pm.
" First Anniversary Celebration" of Peace Museum Vienna. Personal exhibition of new paintings of Peace Heroes by Werner Horvath. Thursday, October 8th, 17.30, Grünangergasse 1, 1010 Vienna. "Best of " - 24.Autumn Exhibition of the "Austrian Medical Art Club" (participation). Gallery of the University Hospital Vienna (akh-contemporary), Währinger Gürtel 18 - 20, Wien. November 8th - 28th, opening November 10h 2015, 7 pm. "kunsterwerbenfüreinengutenzweck". Art auction - Charity Event for children and young adults with oncological diseases, held by the Community PAN (participation). Dec. 21st, 6 pm. (auction starts at 7 pm. ), Albertina, Albertinaplatz 1, 1010 Vienna. "Cover it!" - Art Beer Mats by Werner Horvath. Personal exhibition in the "Atelier am Pöstlingberg", Puchenauer Kreuzweg 45. 4040 Linz, April 6th - 21st, 2016. "My Neighbour and I". Public Stage Discussion (participation as speaker and picture presentation). Moderation: Rernate Moran. May 31st, 6.30 pm., Atelier Moran, Dinghoferstr. 27, 4020 Linz. "2nd Anniversary Celebration" of Peace Museum Vienna, and the "Peace Hero Award" goes to Werner Horvath for his artistic peace work, accompanied by a presentation of some of his paintinmgs. Peace Museum Vienna, Blutgasse 3, 1010 Vienna, June 14th 2016, 6.30 pm. Art presentation of the "bsa-art OÖ" (participation) at the "Red Night" in the Castle of Linz. June 16th 2016, 7 pm. "Club 27" (personal exhibition). Summer exhibiton in the Villa Arte, Kastellos Apokoronas, Crete, Greece. August 6th - 26th 2016, Opening August 5th, 7.00 pm. "PEACE HEROES WALK VIENNA" (participation by printed art on posters, T-shirts, postcards, stickers etc.) under the auspices of Peace Museum Vienna. Saturday October 8th 2016, 11 am., Stephansplatz. Route from Stephansplatz to University, followed by seminars in different places (see program). "FOUR ELEMENTS" - 25.Autumn Exhibition of the "Austrian Medical Art Club" (participation). Gallery of the University Hospital Vienna (akh-contemporary), Währinger Gürtel 18 - 20, Vienna. November 8th - December 2nd, opening November 8th 2016, 7 pm. Permanent exhibition since 1998: "The Saints of the Brothers of St. John of God". Hospital of the Brothers of St. John of God (Seminary Center), Seilerstätte 2, 4021 Linz. "Very sick" - (personal exhibition). January 7th to February 5th, 2017, Atelier am Pöstlingberg, Puchenauer Kreuzweg 45., 4040 Linz. Opening January 7th, 7 pm. "Industry in Transition". Laudatory speech for Monika Breitenfellner. ABC - ANTON BRUCKNER CENTRUM, Carlonestr. 2, 4052 Ansfelden, January 12th, 2017, 8 pm. "STRONG WOMEN". Exhibition of "bsa-art OÖ" (participation), Papiermachermuseum Steyrermühl, Museumsplatz 1, 4662 Laakirchen, March 5th - April 1st, 2017. Opening March 5th, 11 am. "Zeitgenössische Kunst". Charity Auction (participation) for PAN Austria. March 8th, 2017, 7 pm. Palais Dorotheum, Ludwigstorrf-Saal, Dorotheergasse 17, 1010 Vienna. NEXTCOMIC-Festival 2017, (participation). March 16th - 24th, 2017. Opening March 16th, 2017, 6 pm, Festivalzentrum, OÖ Kulturquartier, Ursulinenhof, OK Platz 1, 4020 Linz. "Ban Nuclear Weapons!". Art presentation by Werner Horvath at an event of "International Physicians for the Prevention of Nuclear War (IPPNW)" and under the auspices of the United Nations. March 23th, 2017, 5.30 pm. Peace Museum Vienna, Blutgasse 3, 1010 Vienna. HOUSE OF EUROPEAN HISTORY - Opening; a project of the European Parliament. Participation by two paintings of the Collection Horvath as a loan to the House of European History. May 6th, 2017, Rue Belliard 135, Brussels, Belgium. "Stage Discussion STRONG WOMEN" accompanied by an art presentation of the "bsa-art OÖ"(participation). May 16th, 2017, 6.30 pm. Veranstaltungszentrum Central, Landstraße 36, Linz. 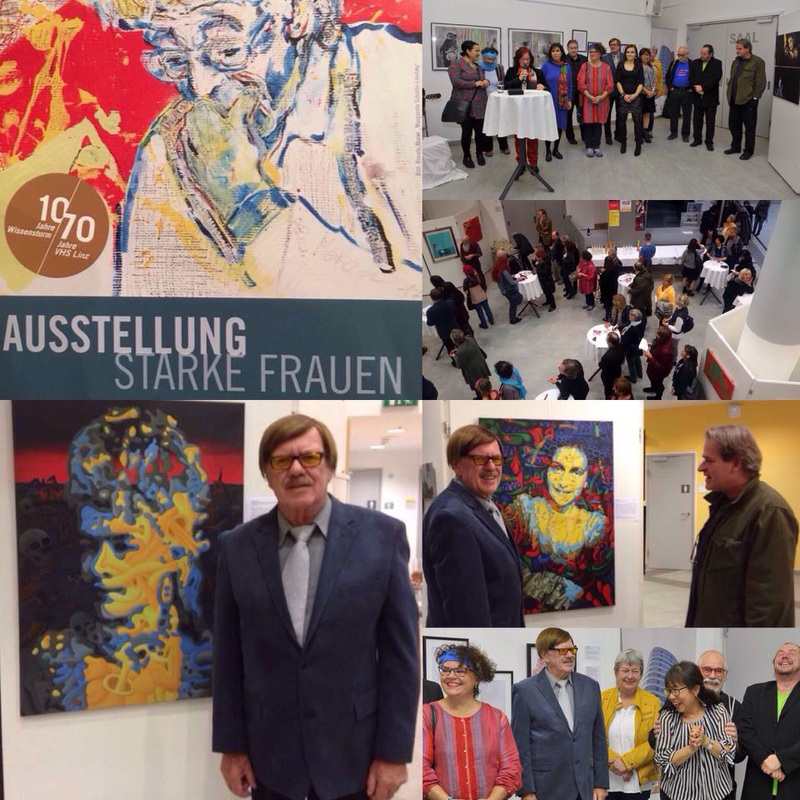 "STRONG WOMEN" -Art presentation of the "bsa-art OÖ" (participation) at the "Red Night" in the Castle of Linz. June 22nd 2017, 7 pm. "Messages for the World" - project by Nina Horvath and Werner Horvath at the leonart Festival in Leonding near Linz . August 19th - 20th and August 26th - 27th 2017. "Myths and Legends - (personal exhibition). Summer exhibiton in the Villa Arte, Kastellos Apokoronas, Crete, Greece. August 31st - Sept.10th 2017. Opening August 31st, 7.00 pm. "DREAMS" - 26th Autumn Exhibition of the "Austrian Medical Art Club" (participation). Gallery of the University Hospital Vienna (akh-contemporary), Währinger Gürtel 18 - 20, Vienna. Nov. 7th - Dec. 1st, 2017, Opening Nov. 7th, 7p.m. "STRONG WOMEN". Exhibition of "bsa-art OÖ" (participation), "Tower of Knowledge" Linz, Austria. Nov.15th to Dec. 22nd, 2017, Mon.-Fri.8 a.m. to 6 p.m.. Opening Nov. 14th, 2017, 6.30 p.m.
"Triptycha" - (personal exhibition). January 7th to February 5th, 2018, Atelier am Pöstlingberg, Puchenauer Kreuzweg 45., 4040 Linz. Opening January 7th, 7 pm. "Opening of Peace Museum Valcea (Romania)" (participation). January 19th, 2018, Valcea Library, Romania. The end of the exhibition has not yet been determined. Charity event (participation) of the community St. Theresia on the Keferfeld for a new "Kindergarten". April 21st to 22nd, 2018, Losensteinstraße 6, 4020 Linz, Austria. The proceeds of the donated picture "Socrates" have been fully allocated for this good purpose. "7 Deadly Sins" - (personal exhibition). Summer exhibiton in the Villa Arte, Kastellos Apokoronas, Crete, Greece. August 4th - 31st, 2018. "CONGO STARS". Participation by loan of 67 paintings out of the Horvath Collection for Political Art. Kunsthaus Graz, Lendkai 1, 8020 Graz. Sept. 22nd 2018 to January 27th 2019. Opening Sept. 22nd, 11 am. "CONGO STARS". Participation of the Austrian artist Werner Horvath with 5 large size paintings.. Kunsthaus Graz, Lendkai 1, 8020 Graz. Sept. 22nd 2018 to January 27th 2019. Opening Sept. 22nd, 11 am. "Still Life" - 27th Autumn Exhibition of the "Austrian Medical Art Club" (participation). Gallery of the University Hospital Vienna (akh-contemporary), Währinger Gürtel 18 - 20, Vienna. November 6th - 30th, 2018. Opening Nov. 6th, 7 pm. "Windows for Peace" - (participation), Peace Museum Vienna, Blutgasse 3, 1010 Vienna. Participation of the Austrian artist Werner Horvath with 5 large size paintings.. Kunsthaus Graz, Lendkai 1, 8020 Graz until January 27th 2019. "Seven Deadly Sins" - (personal exhibition). Sketches, unfinished and finished works. February 1st to 21st 2019, Atelier am Pöstlingberg, Puchenauer Kreuzweg 45, 4040 Linz. Opening January 31st, 7 pm. "CONGO STARS". Participation by loan of 27 paintings out of the Horvath Collection for Political Art. Kunsthalle Tübimgen, Philosophenweg 76, D-72076 Tübingen, Germany. March 9th to June 30th 2019, opening March 8th, 7 pm.